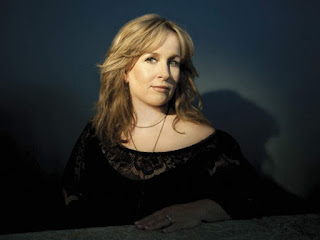 Gretchen Peters writes songs that tell stories and offer insight into the human condition. “Five Minutes” is an example of a song that tells the story of a broken and flawed woman. There is so much I like about this song, but perhaps my favourite is the ambiguity in the line that says, “Most nights I come home from work and I pour a glass of wine, sometimes it's three or four before I stop.” We get the impression that there is a problem here. Through the rest of the song, we see history repeating itself in her daughter and we see both women drawn to men who are not good for them. They are lost and need to find a clear direction in their life. From my Christian worldview I can’t help but think of flawed women in the Bible and how Jesus sees them and shows love toward them. Perhaps the woman in “Five Minutes” is a bit like the Samaritan woman in the fourth chapter of the Gospel of John. Both women seem to be searching for something more and looking in all the wrong places. The human condition is difficult. We are prone to wander from the better paths and stray so easily into destructive paths. There seems to be so little time in life to ask the important questions and find the true path and so we muddle on in the way we have always lived. Perhaps even the author of “Five Minutes” is searching for something more. 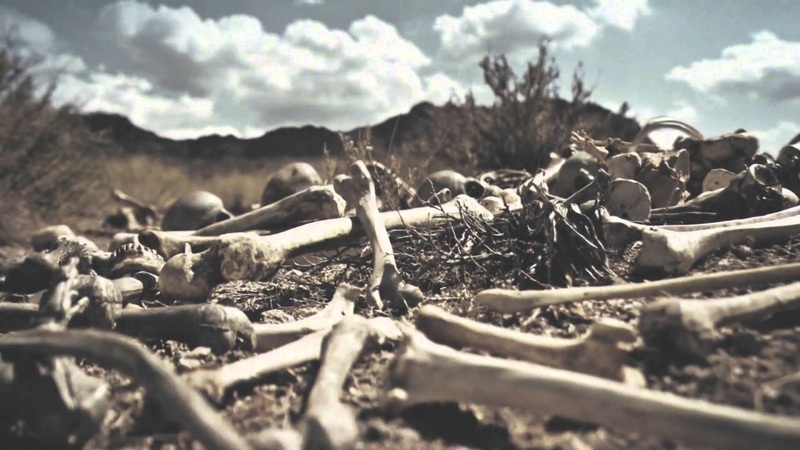 “…those who drink the water I give will never be thirsty again. It becomes a fresh, bubbling spring within them, giving them eternal life.” - Jesus (John 4:14). I am in the land that inspired Narnia: Rostrevor, Northern Ireland, UK. It is a picturesque place with vines growing over every surface of some of the houses, a quiet stream with a stone bridge running through the middle, and I can almost imagine a Faun with an umbrella coming up to ask me in to tea. But, alas, we are in The Church Bistro having tea and scones. It is a 1920s Methodist church building which was converted to a bistro and bar about three years ago. (This Bistro used to be a cute Cathedral – to parody a Steve Taylor song.) Although, it is not as interesting as a Faun’s cave, it is a beautiful bistro with delicious scones, clotted cream, and wonderful tea. The Irish (like the English and Scots) certainly know how to brew a pot of tea. Yesterday, we stayed in Kilkeel, a beautiful fishing village which is just inside the border of Northern Ireland, a 20-minute ferry ride from Carlingford. Kilkeel is the place where my paternal grandfather, Thomas (Tommy) Shields lived until he was 14 and set out to live in Canada. I went for a run along the beach as the sun came up over the sea and I felt like I was reliving the opening scene of Chariots of Fire. What a glorious morning it was. C.S. Lewis was inspired by the Mourne Mountains around Kilkeel and Rostrevor. I find myself imagining what he would have written if he had ever seen the Rocky Mountains near Calgary, Alberta. It is here, near the coast of Ireland, a little south of Belfast that he dreamed up the idea of Narnia, a land where it was always winter and never Christmas, until Aslan is on the move. It must have been a particularly cold winter when he came through this region. We are here in mid-October on a 17-degree Celsius afternoon and the humidity and sunshine feel wonderful. I am working on a book as we vacation, and the Literary Society of Rostrevor has many inspiring poetic quotes posted around the town and so I am feeling suitably inspired to write and think and dream. Ireland has always inspired poets and writers and sent them off to inspire the rest of the world. Who knows what will get written in this wonderful country? Some songs are so good it is almost irreverent to interpret the lyrics. Steve Taylor says that he worked twenty years on one of the songs on his Goliath album. There was not a week went by when he was not rolling this one around in his mind and coming up with better ways to say things. The result is astonishing. Not only are the lyrics an impeccable piece of poetry but the melody and the building of arrangement and presentation are highly emotive. I find that “Comedian” hits me at a number of levels and speaks to the challenges of being human and the mistakes we make as we take seriously the call to give honour and power and gratitude to the ultimate King and Lord of our lives. Many have asked questions about what the song is about and Taylor has allowed the song to speak for itself without giving much interpretation. As with all art, the artist gives one side of the communication, and the one who appreciates the art allows it to speak to her or him and completes the other half of the conversation. With any form of art, what it impresses upon the recipient is a valid part of the exchange. Even when an artist did not explicitly intend for a piece to speak in a certain way, it may do just that in the life of the receiver. I encourage you to listen to the song as you read these lyrics. Ask yourself, what does it do to your soul? After you have listened to the song and read the lyrics, I offer some of my emotions, understandings, and interpretations. They are certainly not the final word on this impressive work of art. The puns throughout the song are subtle and sometimes hard to catch. They also cause me to pause and seek understanding. They have the effect of a “Selah” at the end of the line in a Psalm. “The saints came marching in this morning and they marched back out the door, wholly offended,” or were they “holy offended?” Thus, begin the questions in my mind. Steve Taylor has always been a controversial figure in church circles and in the recording industry. He is very much aware that he has wholly offended many of the holy, and not so holy, people in his life. Court Jesters, a common person in the courts of Kings and Queens of the past, often over-reached and insulted the court in which they received their employment. Kings were known for allowing a jester to go so far and then throw them out (or worse). 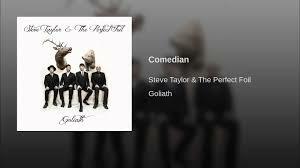 Taylor has a certain court-jester style about him in this song, and in his life. Sometimes he is going after the people of the court, sometimes himself, and sometimes his barbs are aimed at the very one who gives him life. There is mockery, confession, confusion, repentance, and shame in these lyrics. I had to look up the concept of the “amen corner” to be sure I knew what it meant. One writer said that the “Amen Corner” is “the place where the most difficult and devout congregate.” Their “marching orders” get an official and collective “amen” even as they reserve the right to amend - so clever! "I've learned to sign so the deaf can watch me speak." Is that a reference to film-making? Man shrugs and walks away. Who is “the King of the One Liners?” Well, one might expect it is the song-writer and to some degree he does identify with this person, but more importantly, the “King of the One Liners” represents Jesus - in my opinion. The people of his time saw him as a great teacher and they loved his pithy stories and statements. But his punchline was that he would not be controlled by the preconceived ideas of the Scribes, Pharisees, or people. Jesus chose to lay down his life for the people rather than overthrow their Roman oppressors and no one knew what to do with this. Near the end, they cried out for his death. Taylor seems to be able to relate to the adulation, the “not being controlled,” and the cries for his death (or at least the death of his music). Throughout the song, Taylor asks questions about who will ask the questions. Who will be the next comedian? He will not always be around to challenge the status quo and act the fool. Who will pick up the mic? “If it’s on!” “Is this on?” Can you hear me now? “Man makes plans, God laughs,” is one of those statements that almost sounds biblical but is more accurately rabbinical. Its essential meaning is similar to what James 4:13-15 says. If we fail to take God’s will into our plans, our's are foolish plans. All the plans I have for my future must be considered within the will of God and must be encompassed in his plans for my life. Otherwise we become foolish comedians and God laughs at our naivety. As God laughs and our self-centred plans are frustrated, we might even become angry with God; but the feud with God cannot have a pleasant outcome for us, as he smiles at us with omniscience and forgiveness. Still we take up the feud and storm the stage where he and/or his followers have been given the mic. After the anger comes the self-righteousness. Didn't I do this and that for you? Didn't I carry your cross? Or at least the light piece? Why haven't you given me all I want? The white noise at the end of the song begs us to answer the question: “is it on?” The mic is clearly on. Who will pick it up and be the next court jester asking the important questions and poking fun at the “amen corner.” The mic will not be on forever. One day the King will draw a sword from his scabbard and cut the cord, or perhaps - cut the chord.